I'm not an expert in coffee but I believe I do know a little about my favorite cup of cappuccino. So don't expect to hear about the bean, the temperature, the technique or the process of it all to make a coffee a coffee. What I'll be focusing on is my very cup that I'm going to consume for the pleasure of my tongue and the harmony of my emotion once goes into my beautifully roundish tummy. 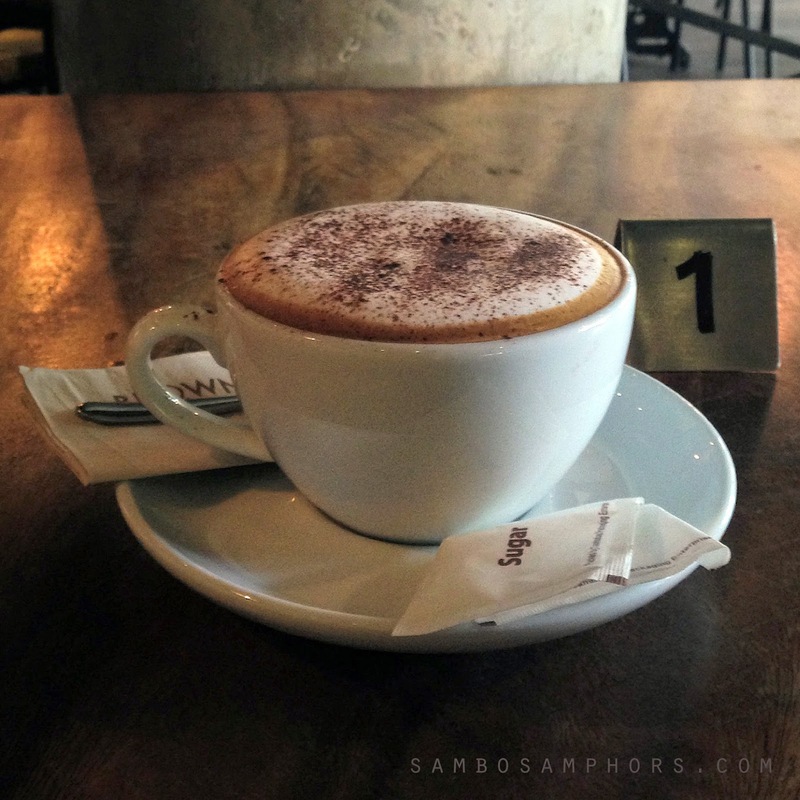 It's this simple for a good cup of cappuccino, which to be perfectly clear, is the foam that fills 2/4 of the cup. Obviously, the correctly prepared cup of cappuccino is the one with the right temperature steamed-milk foam because the drinker will pay attention on how soft, how creamy or how the foam stays for the rest of cup (if you don't eat it first) being consumed. Yep. That's it. The foam! Just the foam! Only the foam! Regardless of brand, a cup of cappuccino often comes with flat and burned foam which will be gone within second you pour it into the cup. It's not the choice of milk or coffee from the house. It's the barista who plays such key role in creating my perfect cup of cappuccino. And today is my lucky day. It's so perfectly prepared!